Phil Wickham will deliver his first, full-length, new album in two years on Aug. 3, aptly titled Living Hope (Fair Trade Services). The new collection of music was heralded by the church resounding "Living Hope," vastly streamed "Till I Found You" and just released "Great Things." Living Hope's impetus centers around Wickham's desire to serve the local church. The focus aligns with his role as a worship leader at Harvest Christian Fellowship alongside his continuing journey as an artist. Living Hope found Wickham working with 19 songwriters and six producers during a year long journey. Today's pre-order includes the soulful track from the album for immediate download, "Song in My Soul" featuring Hollyn. "So many songs on the record were born out of wanting to write the language and the prayers that go along with what God is doing in the community already," shares Wickham. "The goal wasn’t to write songs that were my expression necessarily of what is God doing in my life or what is my vision or what am I supposed to say through these songs. It’s more for the church." 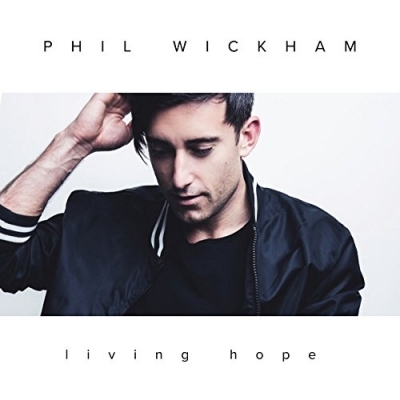 Wickham's current single, "Living Hope" debuted at No. 24 this week on the Billboard Christian Airplay chart, earning the largest jump in chart position this week as well as the largest increase in airplay and spins. The single which was co-written with Bethel Music's Brian Johnson is already getting support from over 30 stations, including K-LOVE, Star-NY and Sirius XM. "Living Hope" and other tracks from the record have been featured in key streaming playlists such as Amazon Music’s Fresh Christian and Spotify’s New Music Friday, Top Christian and WorshipNow playlists. Wickham's standout track "Till I Found You" is also set to impact Hot AC next month. Since the release of the track to digital outlets two months ago, the song has acquired over 4 million streams across all platforms. Both singles also spent time on the Spotify US Viral 50 chart. The California native will deliver a Living Hope album release show in Los Angeles on Aug. 3 followed by a performance at CMB's Momentum conference this September. Wickham will continue touring this year in states such as New Mexico, Washington, Texas, Colorado, Arizona and California.